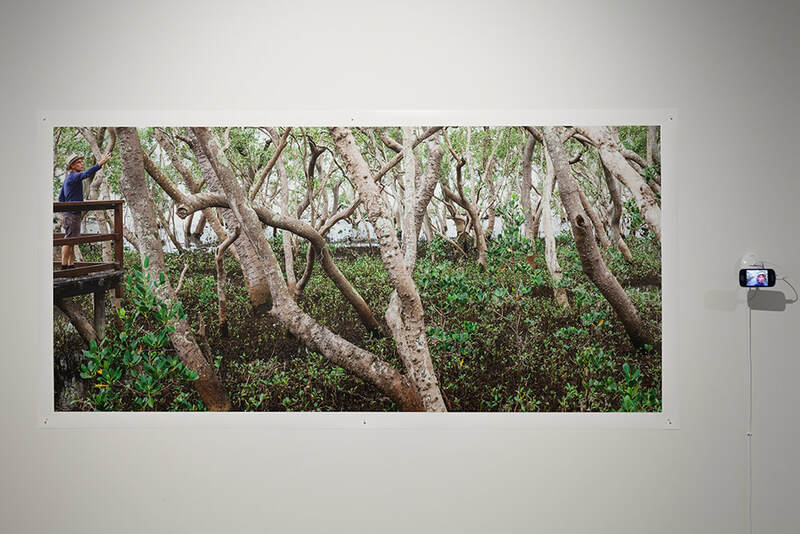 Umwelt is a series of photographic installations consisting of large panoramic prints and images displayed on smartphones which investigates photography's capacity to visualize human perceptions of nature. 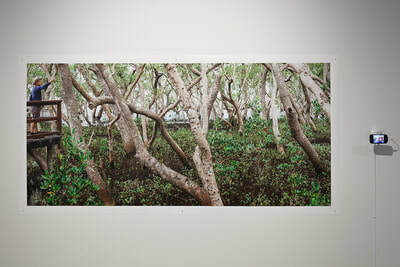 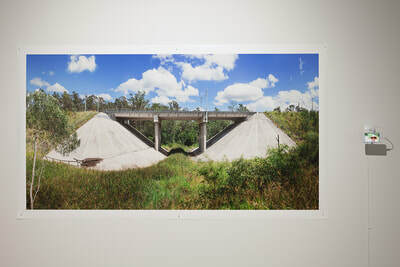 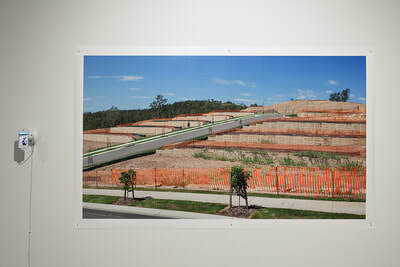 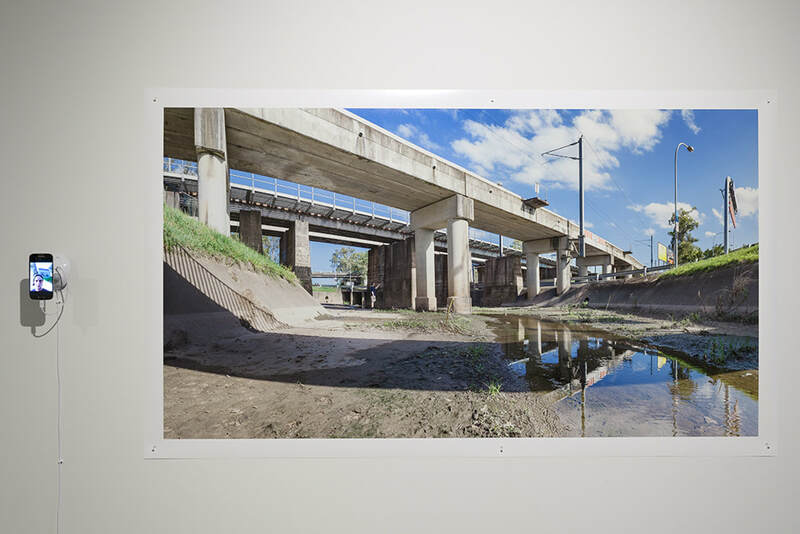 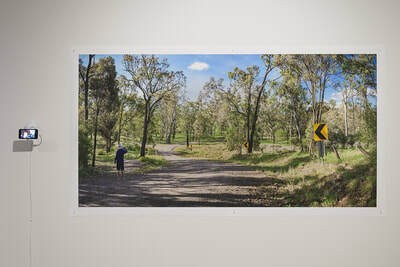 The large photographic panoramas depict urban and semi-urban scenarios in and around Brisbane. Within each of them a small person can be seen taking a 'selfie' on a mobile phone. 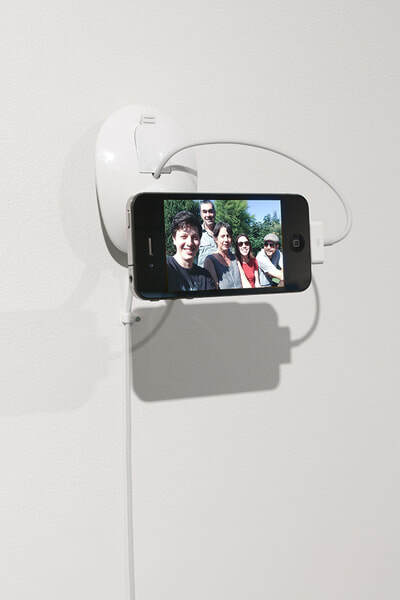 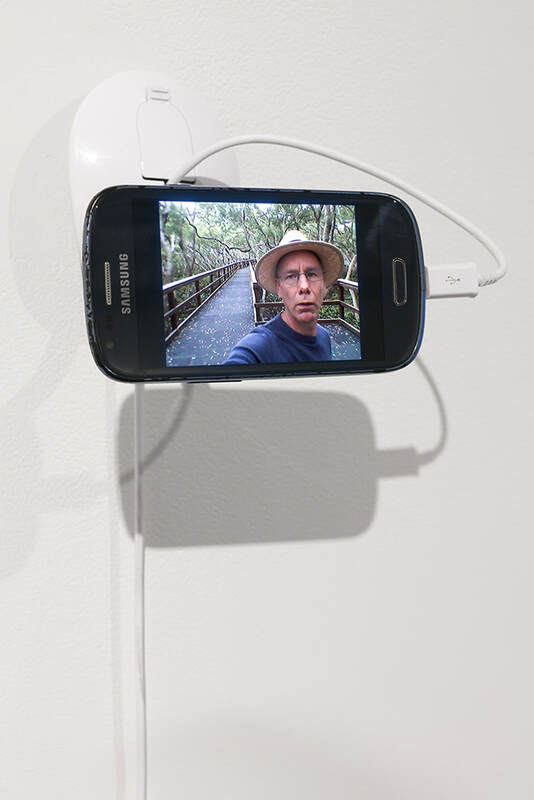 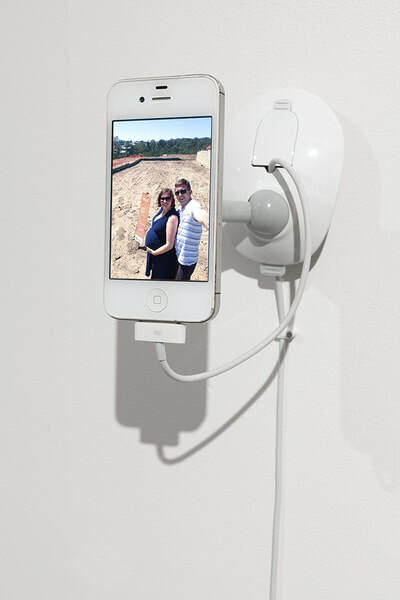 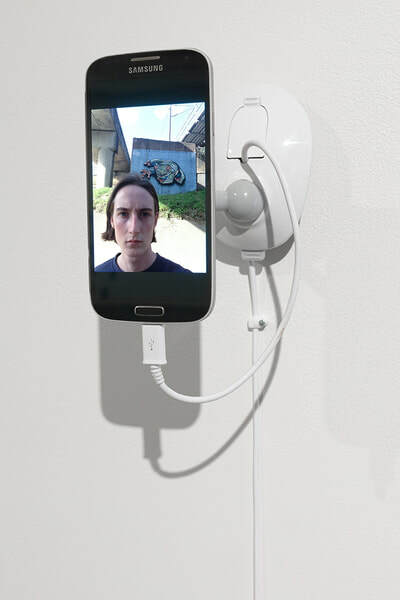 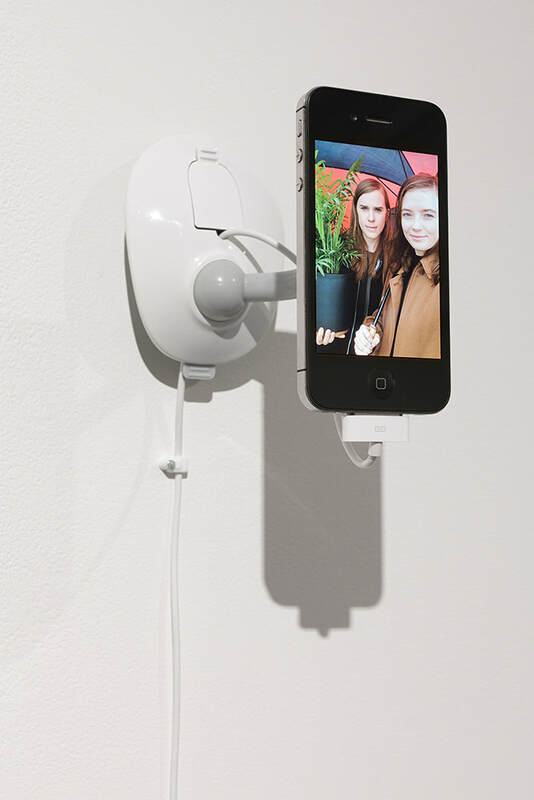 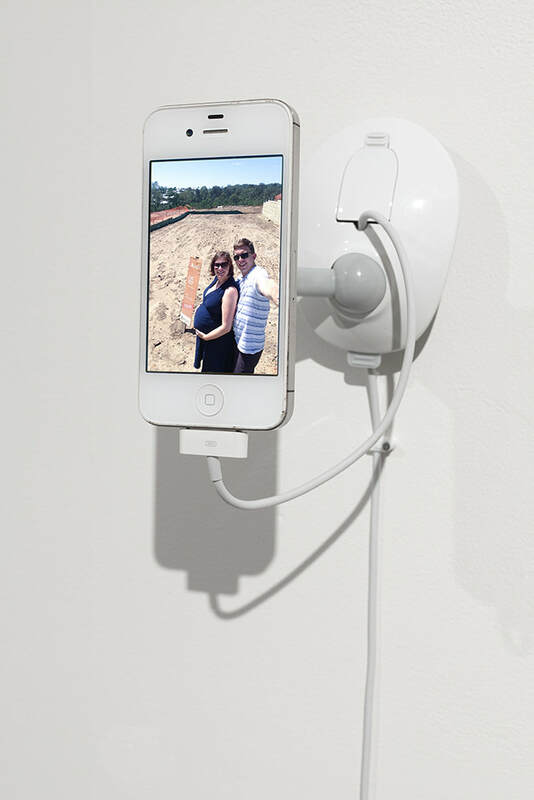 The selfie taken within my large photograph is then displayed on a smartphone display installed adjacent to the scenario it was taken in. 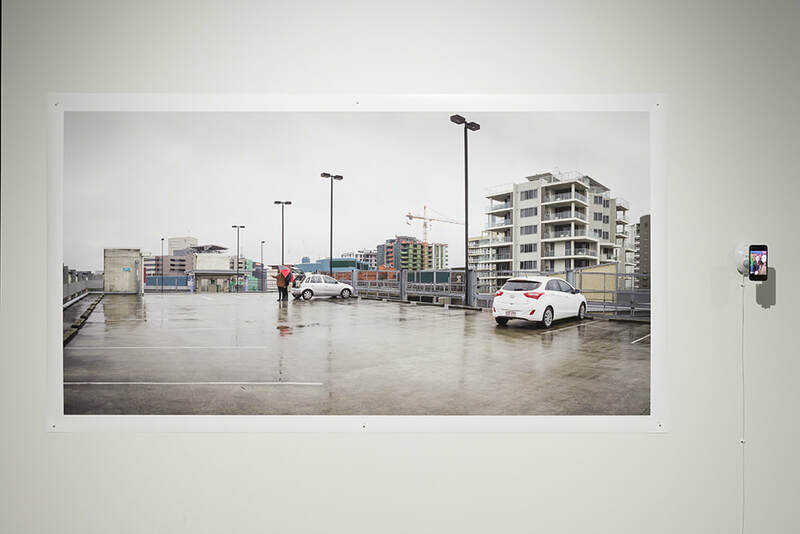 The small ephemeral image now presents a different subjective viewpoint of the authorative picture next to it. 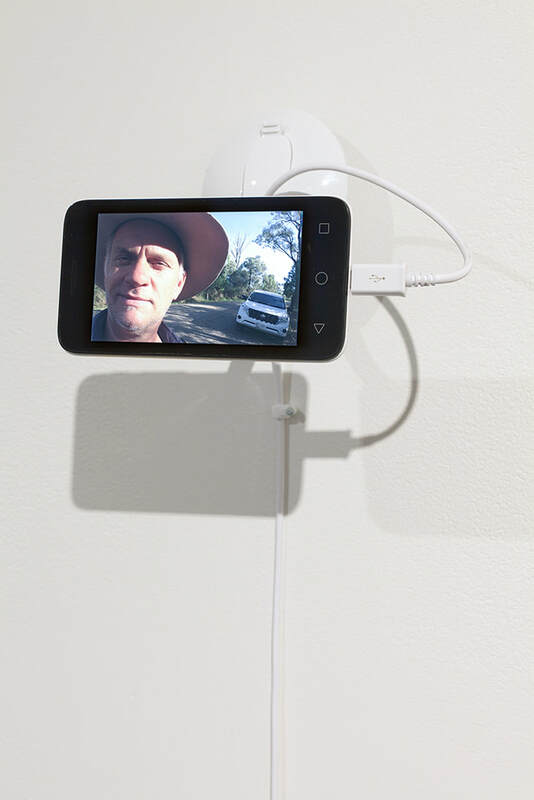 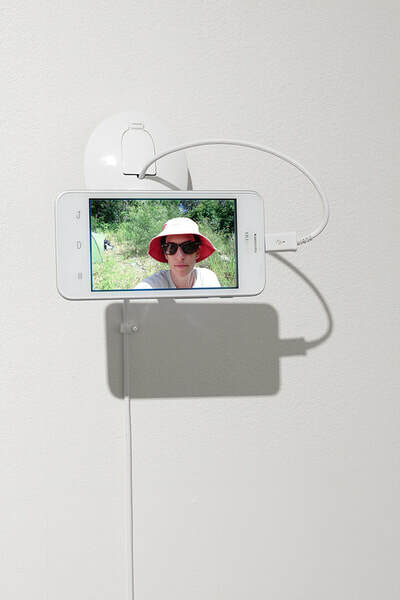 My installations reveal human views on nature – and our use of photography as a subjective cultural construction which is embedded into our digital modes of communication. 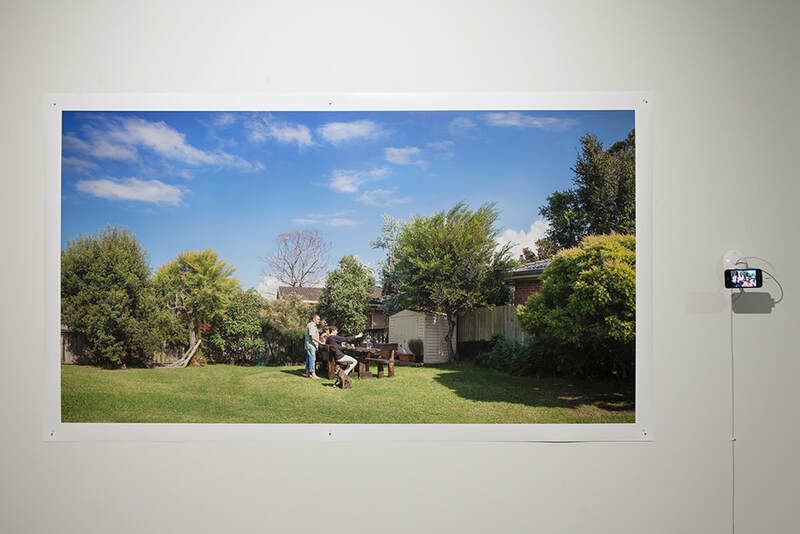 The work was developed as part of a PhD received from RMIT Universtiy in Melbourne in 2017. 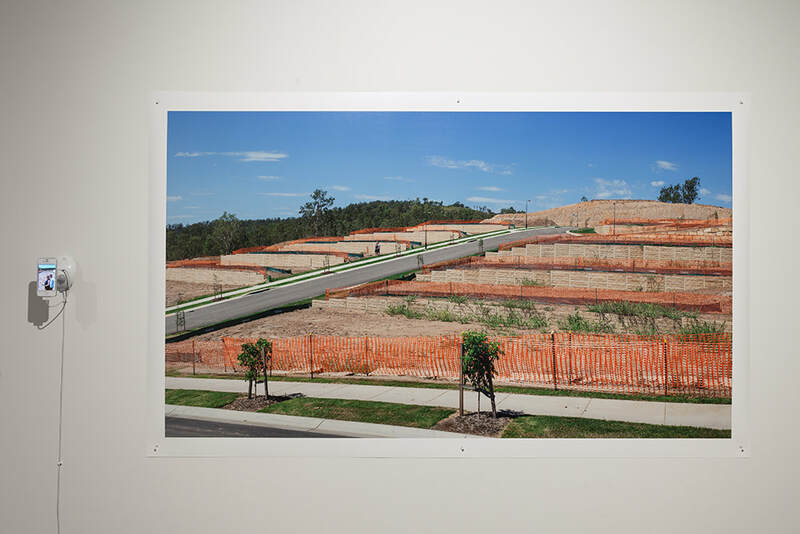 It is informed by historical investigation into the Hortus Conclusus, a short-lived but popular genre in 15th century European painting and the early 20th century biologist Jakob von Uexküll’s concept of Umwelt (sentient worlds) and his theory of biosemiotics.